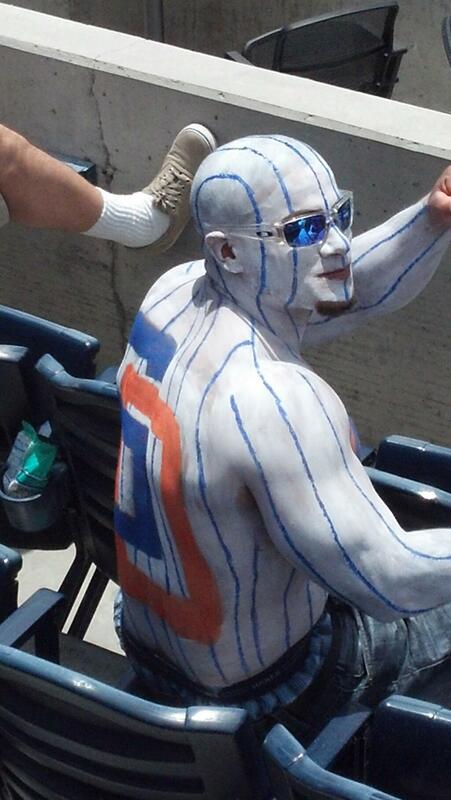 That, my lobster friends, is some dedication… never seen anything like it at Petco before. 1998 Padres, FTW. *updated* – from the front. This dude is yoked. 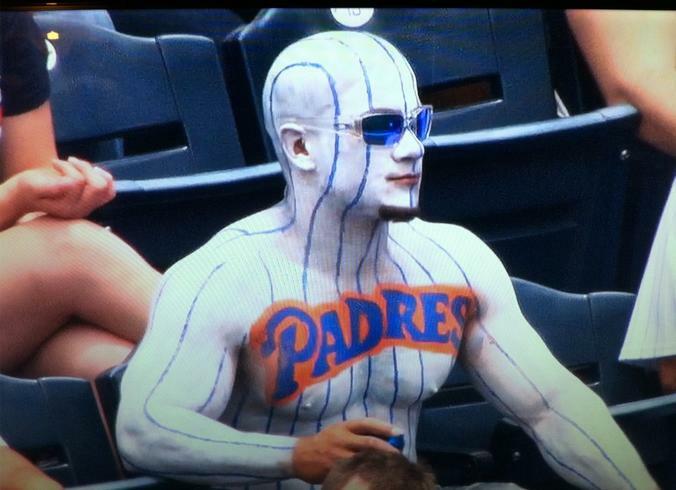 This entry was posted in Baseball, caption contest and tagged Padres, padres facepaint, padres fan. Bookmark the permalink.